Cece Bell's 'El Deafo' is the 2015-2016 winner of the Dorothy Canfield Fisher Award, Vermont's middle grade reader's choice book award. More than 3,200 Vermont middle schoolers voted for this year’s Dorothy Canfield Fisher Award, and it was a tight race. But in the end El Deafo was a clear winner. El Deafo is the second graphic novel to win the award in its 60-year history. The first was Smile by Raina Telgemier in 2012. And El Deafo author and illustrator Cece Bell says that book inspired her to create El Deafo. "I have a lot to be grateful for in terms of Raina Telgemeier’s work," says Bell. "She’s been very, very inspirational and we’ve actually become very good friends, which has been the icing on the cake for me." Both Smile and El Deafo are autobiographical. And Bell says, until she read Smile, she hadn’t hit on the best way to tell her own story. "I had been putting off this story for a long time," says Bell. "... I had been telling a lot of the stories that are featured in the book over the years, and I always got people laughing ... I knew it was a good story. And then later, I happened to read Raina Telgemeier’s book Smile ... and once I saw that I realized that the graphic novel format was perfect for my personal story. And I think I was just waiting for the right format to come along." Bell’s personal story starts when she contracts meningitis as a preschooler and loses her hearing. In El Deafo, Cece and other characters are pictured as rabbits. Bell says that was an important choice. "The reason for that, is that rabbits have very, very big ears and they can hear really well," Bell explains. "And I was trying to create this visual metaphor of being the only rabbit, in an entire school of rabbits, whose giant ears were there and visible, but they did not work. They were broken. And it was effective to have the ears really long and on top of my head because the cords that were connected to my hearing aid that went more to the sides of my head, in real life, to my ears. In the book those cords went all the way up over my head and are very, very visible. Which is closer to how I felt. I felt very conspicuous and like everyone was looking at me. So that kind-of fit really well." Bell adds, "And also, bunnies are cute. And you can’t go wrong with bunny rabbits!" The Dorothy Canfield Fisher Award is one of many honors Bell has earned for writing El Deafo, including a Newbery Honor. But she didn’t start out as a writer. "For a long time I worked as a freelance designer and illustrator with a dream to get into children’s books," says Bell. "And I, every now and then, would send out illustrations to publishers and just kept getting rejected. Nobody liked my stuff enough to have me illustrate their book. So I read somewhere that I would more likely get into children’s books if I did both the writing and the illustrating, so I thought, ‘all right, I’ll try writing a book’. And that’s what I did. My first book was called Sock Monkey Goes to Hollywood. It was published in 2003 ... And that was kind of my path towards children’s books. But I sort-of happily fell into the writing part and ended up loving the writing part, maybe even more than the illustrating part. Which is kind of a surprise to me still." Bell’s ability to tell her story in words and pictures really connected with Richmond fourth grader Hanna Diederich. "This is a really funny book," she says. "And like had a meaning to it, and a moral and it really tells you if you’re someone different from the world." Books that challenge kids to think and react with the story are a priority for the adults who choose the Dorothy Canfield Fisher Award nominees that young readers vote on. We sat down with award committee chairperson Hannah Peacock and Vermont Department of Libraries youth services consultant Sharon Colvin to find out some of the books on the new list. There are four graphic novels on the new list Colvin says she likes Roller Girl by Victoria Jamieson. 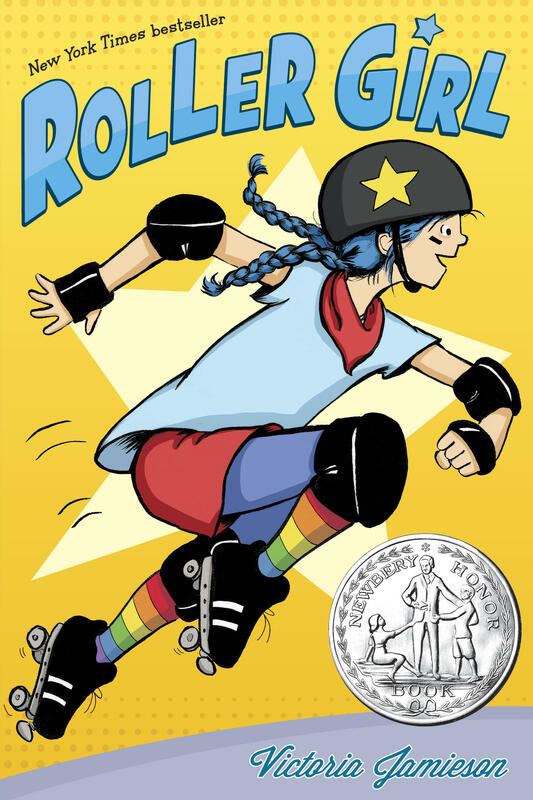 'Roller Girl' is one of four graphic novels on the new list of Dorothy Canfield Fisher nominees. "This is about a 12-year-old girl who is trying to find herself," says Colvin. "She has a best friend, they do everything together, and this summer the main character wants to do roller derby camp. And the other friend says, 'I want to do dance camp.' And it’s like, ‘well how can we be friends if we’re not doing everything together?’ And you know every child can relate to that kind of struggle ... And it’s also got this wonderful girl power message. She’s 12 and she’s out there and she’s roller skating and playing roller derby, which is an intense sport. ... I highly, highly, highly recommend this one." One of Peacocks’s picks is Shadows of Sherwood by Vermont author Kekla Magoon. "This is the first in a series," Peacock explains. "It’s called the 'Robyn Hoodlum' series ... It’s a little bit of a Big Brother society and ... it’s a modern Robin Hood tale because Robyn Hoodlum becomes sort-of the one who helps the poor by stealing from the rich a little bit, as Robin Hood goes. And so she finds a couple of other kids who are runaways for different reasons, from the poorer side of town and they sort of band together to figure out how to fight the corrupt government." Alex Gino’s novel George is also nominated for next year’s Dorothy Canfield Fisher Award. For Colvin, the selection of this particular book makes her proud and excited. 'George' is about a child who is born a boy but self-identifies as a girl. "And the reason is this is ... a very cutting-edge topic," says Colvin. "It’s a fourth grader, transgender child ... George was born a boy but feels like a girl. And it’s a very innocent book ... There is nothing sexual about this book. It’s just about identity ... And this whole story is adorable ... The school is putting on a play of Charlotte’s Web and George really, really wants to play Charlotte. George’s teachers and family, they don’t understand what’s going on. And George confides in a best friend who’s fantastic. And they really talk about 'What does it mean to be a girl?' And, 'How can I explain this to people?' And they craft this elaborate plan so that George is able to play Charlotte in the school play. And, speaking of Charolotte’s Web, Peacock’s next pick is often compared to that children’s classic. It’s called Escape From Baxter’s Barn by first-time author Rebecca Bond, who also illustrates the book. Bond lives in Boston now, but she grew up in the Northeast Kingdom town of Peacham. "It’s a book about a team of animals in a barn, including a cat who sneaks out to sleep in the warm house and overhears some terrible news about one of the brothers who owns Baxter’s Barn is going to burn it down," says Peacock. "So the cat, Burdock, goes back and tells the other animals ‘we have to do something.’ And they just work together. There’s two massive horses, and old aging cow – Mrs. Brown – a couple of goats and a sheep and a barn owl joins them at some point and they just figure out a way to get out of this situation. And it’s such a great book about celebrating our strengths and weaknesses – who can do what and communication and friendship and I think younger kids are going to love it and older kids will enjoy it. But it’s really a great book for the younger crowd." Colvin says her next pick is good read for all ages, including adults. It’s called The Lightning Queen by Laura Resau. "She’s a phenomenal author," says Colvin. "So this is the story about a boy named Teo who lives in the United States but his grandfather lives in Oaxaca ... and one summer when he’s there his grandfather pulls him aside and says, ‘Hey, I need your help.’ and starts telling him this really intricate, fantastic story about the Lightning Queen. And Teo’s not sure how much of it is true and how much of it is a little bit of fantasy. He tells a story about this Gypsy girl who came to Oaxaca and ... was a fortune teller and all this fantastic stuff. And he fell in love with this girl. And so now he wants help tracking her down, his long-lost love." Dorothy Canfield Fisher nominees are grouped by books appropriate for different ages, from fourth through eighth grade. One of the books that Peacock recommends for older kids is I am Princess X by Cherie Priest. The book starts with two friends, Libby and May, who create a comic book series together about Princess X. A few years later, Libby goes missing and is presumed dead. 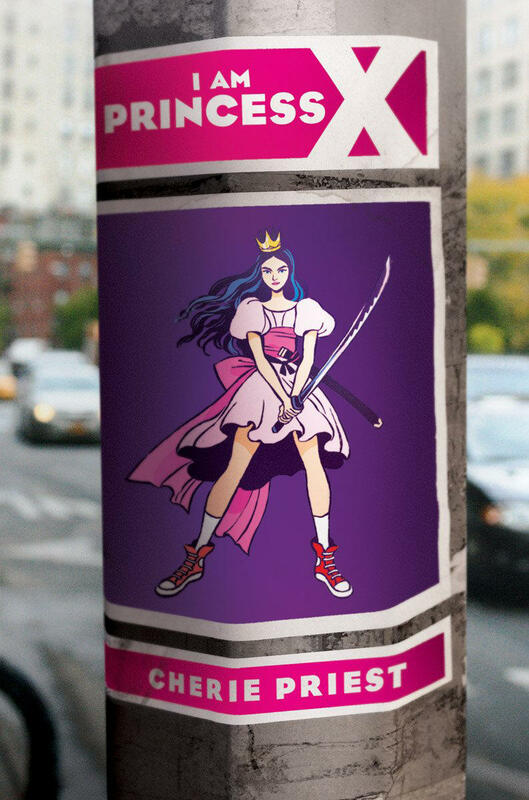 'I Am Princess X' is appropriate for older Dorothy's List readers. "And as time goes on they realize there’s more to this story," says Peacock. "So three years later, now that May’s in high school, she starts seeing little stickers and patches all around town from her comic book. She’s like ‘Who has this? Where did they get it?’... So it turns out it’s been online for years. The comic book is now online and the story is going on. And she has to get to the bottom of 'Is Libby really dead? Who has her stuff? And what happened?' They get involved in the dark side of the internet pretty quickly. Her neighbor becomes her ally and helps her out. It’s pretty scary. It talks about how dangerous the internet can be. But it’s also a great story about friendship and perseverance and art and storytelling." Art and storytelling are at the heart of the Dorothy Canfield Fisher program – encouraging middle grade students to read and inhabit stories that teach them about other people’s lives and experiences. The books that Peacock and Colvin described are among the 30 books nominated for next year’s Dorothy Canfield Fisher Award and Vermont middle school students will spend the next year reading them. In the spring, they’ll vote for the book that will join El Deafo as a winner of the Dorothy Canfield Fisher Award. This year the Dorothy Canfield Fisher Book Award also held an art contest for students to design a new logo. And the winning logo was designed by Destiny Sheeley, a seventh grader in Richford. The new Dorothy Canfield Fisher Book Award logo was designed by Richford seventh grader Destiny Sheeley. Destiny says she learned about the contest from her librarian, Annette Goyne. "I decided to enter because it sounded like a fun challenge," she says. "I also like to draw a lot. I really didn’t care that much about winning, but I just did it for fun." Destiny says she thought about Vermont and kids reading when she came up with her design. "I was inspired by Vermont and what it stands for, like its trees. They are great," she says. "They make up the green in the Green Mountains. I thought about kids and reading for the logo too. That made me think to draw books for the leaves of the tree. I was also inspired by the old DCF logo and the fact that it had kids reading on it. I tried a few other designs like an owl with a book and a college graduation cap, but I thought the tree represented Vermont more." Librarian Annette Goyne says she watched Destiny's idea come to life on the page. "I watched her draw the tree and then the 'book' leaves of the tree's canopy," she says. "I love to draw myself and coach an art club here, and to be honest, I was amazed at how fast her drawing took shape. She drew all those 'books' in less than a minute, obviously seeing the final image clearly in her head. It was inspiring and memorable to see such a creative mind at work, especially in someone so young!" Desitny says the logo makes her happy and she hopes it will make other readers happy as well. "I’ve never won anything in my life and it feels good! I’m just happy," she says. "I also think the logo is a pretty happy scene and I like the idea that kids everywhere in Vermont will see a happy picture when they pick up a good book to read." A sticker of Destiny's winning logo will be on the spines of all the books nominated for next year's Dorothy Canfield Fisher Award, in libraries throughout Vermont. The early life story of author and illustrator Cece Bell unfolds across the pages of El Deafo in comic book style panels. We first meet Cece as an energetic preschooler who loves to wear her poka-dotted bathing suit everywhere. Then we watch her get sick and lose her hearing as speech bubbles fade to blank. Library time at the Marlboro School is something of an oasis in the midst of a hectic day. Students in this reading group are serving each other tea and cupcakes, and getting ready to settle in to their discussion of The One Safe Place. When this group of students from Burlington's Hunt and Edmunds Middle Schools got together to discuss The Art of Secrets, some of them were meeting for the first time. So Edmunds librarian Carole Renca started them out with a matching game to allow the students to mingle. Some students had cards with the names of characters from The Art of Secrets, and others had cards with descriptions of the character.